Critically acclaimed, Agatha Award-winning author Peter Abrahams is hailed by Stephen King as his "favorite suspense novelist." In this breathtaking thriller, a man with nothing to lose races against time to uncover shattering secrets from his past. Roy Valois has been given four months to live. Curious, he hacks into the New York Times to read his impending obituary and notices a discrepancy in the information about his deceased wife Delia, who Roy believes died accidentally. As he digs around, Roy realizes Delia led a secret life. The more he learns, the less he feels he knew his wife at all. And now the clock is ticking on his time to learn the truth. 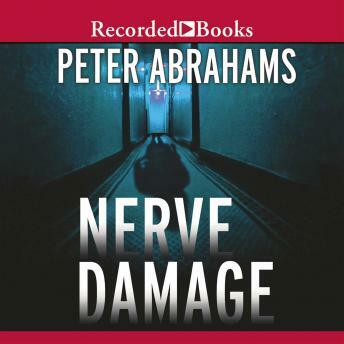 The Denver Post has praised Abrahams' "truly remarkable talent for writing psychological thrillers of enormous power, depth, and intensity," and Nerve Damage is a shining example of this formidable talent.